BBC1. 4 episodes: 27 March-17 April 1965. Starring William Hartnell as ‘Dr Who’, William Russell as Ian Chesterton, Jacqueline Hill as Barbara Wright and Maureen O’Brien as Vicki. ‘The Crusade’ might strike some readers as an unusual choice for inclusion in my top ten of classic Doctor Who adventures as it’s a partially ‘lost’ serial: only two of the four episodes survive (Episode 1 – ‘The Lion’ and Episode 3 – ‘The Wheel of Fortune’). However, the scripts and audio soundtracks survive, and on the evidence of the two extant episodes we can make a reasonable assessment of what the missing episodes would have looked like. Historical adventures were an important strand in the early years of Doctor Who: nine of the 26 serials over the first three seasons were set in different periods of the Earth’s past. This had always been part of the design of the series from the outset: a production memo in the BBC Written Archives from February 1964 includes a long list of possible historical subjects including the Roman invasion of Britain, Richard I and the Crusades, the Peasants’ Revolt, Drake and the Spanish Armada, Bonnie Prince Charlie, Raleigh and the colonisation of America, the Globe Theatre and Australian convict settlement. In Series 1 we had ‘Marco Polo’, ‘The Aztecs’ and ‘The Reign of Terror’, while Series 2 brought us ‘The Romans’ and ‘The Time Meddler’ as well as the proposed serial focusing on the Crusades. It’s often been suggested that the reason for the preponderance of historical subjects was that the BBC wanted to save costs by using props and costumes from its many historical plays. In fact there’s no evidence to substantiate that: the production costs of the historical stories were usually at the same sort of level as the futuristic adventures. But the BBC did have a wealth of experienced production and costume designers with expertise in the field. That explains why the historical stories are usually rich in period trappings and mise-en-scene. It’s become something of a fan myth that the historical stories were not as popular with audiences as the science fiction adventures. However, that’s simply not borne out by the evidence. The average viewing figures for ‘Marco Polo’ over seven weeks were 9.5 million, compared to the 9 million over seven weeks for ‘The Daleks’. In Series 2 ‘The Romans’ maintained an average of 11.6 million over four weeks and ‘The Crusade’ drew 9.4 million compared to 12 million for ‘The Dalek Invasion of Earth’ and 9.4 million for ‘The Chase’ (both over six weeks). 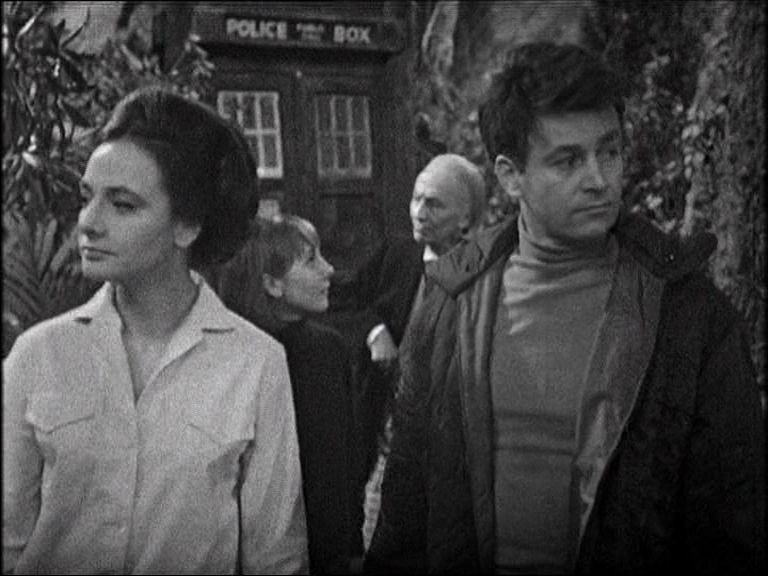 (Interesting Doctor Who fact: the highest average audience for Doctor Who in the 1960s was ‘The Web Planet’ at 12.5 million.) Furthermore, the qualitative evidence gathered by the BBC’s Audience Research Department suggests that children particularly liked the historical stories when they were studying those periods at school. There is an educational aspect to some of the historical episodes: Barbara’s profession as a history teacher allows her, for example, to date their arrival in Mexico at a time immediately before the arrival of the Conquistadors simply by looking at the Aztec treasures. The style of historical Doctor Who stories varied depending upon the writers involved. John Lucarotti, for example, who wrote ‘Marco Polo’, ‘The Aztecs’ and ‘The Massacre’, favoured a didactic style characterised by psychological realism and a strong sense of moral seriousness. In Lucarotti’s scripts the Doctor asserts the mantra of non-interference in the historical past. “You can’t rewrite history – not one line,” he tells Barbara when she suggests trying to dissuade the Aztecs from persisting with their custom of human sacrifice. This can be understood as a means of trying to understand the past on its own terms even where the values and customs might seem abhorrent from a mid-twentieth century point of view. Lucarotti’s stories were also notable for their attention to detail and historical authenticity: the events of ‘Marco Polo’ (an entirely lost story), for example, take place over several weeks as the travellers journey with Polo across the Gobi Desert. In contrast other writers were less concerned with authenticity and employed the past in other ways. Dennis Spooner (‘The Romans’ and ‘The Time Meddler’) and Donald Cotton (‘The Myth Makers’ and ‘The Gunfighters’) employed mythic aspects of the past and were not averse to having the Doctor intervene in history. Hence it turns out that it was the Doctor who suggested the ploy of the wooden horse to King Agamemnon and who inadvertently gave Nero the idea of burning Rome when he accidentally set fire to a model of the city with sunlight refracted through his spectacles. ‘The Romans’ is played as a spoof in the style of the Carry On films – it came not long after Carry On Cleo (1964) – with scant regard for historical accuracy. This tradition reached its peak – or according to some accounts its nadir – in ‘The Gunfighters’, which was conceived as a comedy Western in the style of Cat Ballou (1965) or Carry on Cowboy (1965). ‘The Gunfighters’ was not well received by audiences: it received the lowest reaction index in the history of Doctor Who. (The ‘reaction index’ is a qualitative measure of popularity based on a representative sample of the viewing audience. It’s rather like a university marking scale: anything over 70 is regarded as being pretty good while anything below 40 is poor. ‘The Gunfighters’ had a reaction index of 30.) As it happens, I rather like ‘The Gunfighters’ and have been toying with the idea of including it in this blog. I decided not to as I can’t quite justify it as a top ten selection – but it’s a lot better than its reputation suggests and certainly deserves sympathetic reconsideration. I’ve chosen ‘The Crusade’ because I think it’s the best of the Doctor Who historicals. It belongs very much to the former style: a history lesson in which the only science fictional element is the presence of the time travellers. David Whitaker was the first script editor of Doctor Who – ironically he had relinquished that role to Dennis Spooner at the time of ‘The Crusade’ – and evidence of the importance he attached to the historical aspect of Doctor Who was that ‘The Crusade’ was one of three stories chosen for the early novelisations. Whitaker himself wrote Doctor Who in an Exciting Adventure with the Daleks and Doctor Who and Crusaders, while Bill Strutton wrote Doctor Who and the Zarbi based on ‘The Web Planet’. 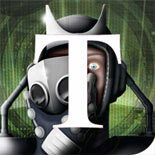 ‘The Crusade’ is notable for the way in which it offers a genuine exploration of a historical period. It was often the case in Doctor Who that the time travellers were separated and had individual adventures: sometimes this was to allow one of the principals to take a break from the busy production schedule. Here there’s a real dramatic reason for the separation as it allows Whitaker to explore both sides of the twelfth-century war in the Holy Land. Hence Barbara, who is captured by the Saracen warlord El Akir, is used to understand something of the Moslem perspective, while Ian, who is knighted by Richard the Lionheart, provides our access to the Crusaders. The story certainly does not represent the Crusades in simple terms as being ‘right’ or ‘wrong’ but rather explores the geopolitical and ideological contexts of the war. It is a morally more serious exploration of the historical past than we’ve become used to in the new series of Doctor Who, where the ‘celebrity historical’ – meeting William Shakespeare, Charles Dickens and Queen Victoria, for example – is characterised by its use of deliberate anachronism and pastiche. The points of reference for ‘The Shakespeare Code’, for example, were not Shakespeare and the Globe Theatre but films such as Shakespeare in Love and The Da Vinci Code. 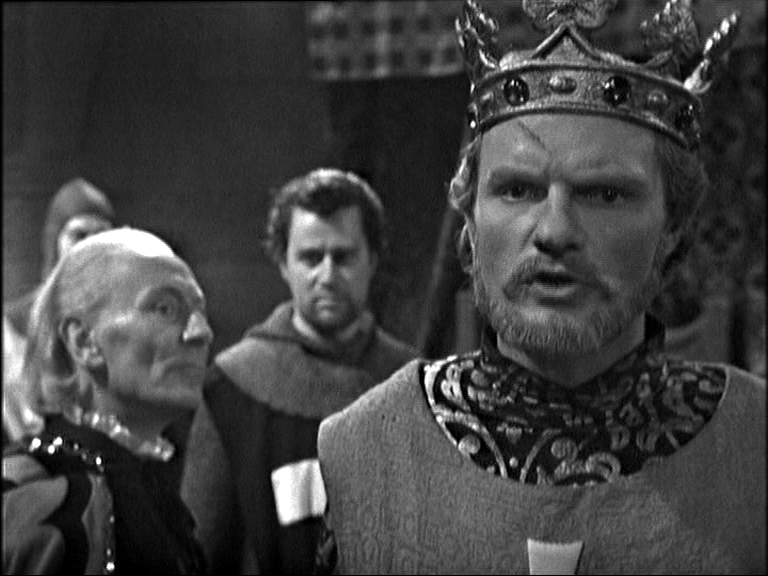 In particular ‘The Crusade’ offers a historically revisionist characterisation of Richard the Lionheart, sensitively played by Julian Glover. There’s been a tendency for several generations now to cast Richard I as a warmonger – a bad king whose predilection for foreign wars raised the burden of taxation on his subjects and whose long absences from his own kingdom weakened the monarchy and created the conditions in which the barons competed for power and influence. In popular culture the characterisation of Richard in films such as Richard Lester’s Robin and Marian (1976) and in the television series Robin of Sherwood (1984-6) is unsympathetic. Here, however, Richard is characterised as a war-weary warrior (“All wise men look for peace”) who is sickened by the brutality of warfare (“This blood-letting must stop!”). He wants to end the war by arranging a political marriage between Saladin’s brother Saphadin and his own sister Princess Joanna. But when he realises that Joanna is an unwilling partner in the proposed marriage, he has to continue fighting the war. The story ends on an ironic note with Richard preparing to march on Jerusalem, which the Doctor knows he will never take (“Even now his army marches on a campaign they can never win”). Julian Glover would play Richard the Lionheart again in the television film Ivanhoe (1982), which incidentally was also directed by Douglas Camfield. ‘The Crusade’ was Camfied’s first sole directorial assignment for Doctor Who (he has a co-director credit on ‘Planet of Giants’ with Mervyn Pinfield). Camfield was a prolific television director whose credits also included Z Cars, The Sweeney, The Professionals and Shoestring. His other Doctor Who serials were ‘The Time Meddler’, ‘The Daleks’ Master Plan’, ‘The Web of Fear’, ‘The Invasion’, ‘Inferno’, ‘Terror of the Zygons’ and ‘The Seeds of Doom’. That’s a list that includes four that have a good claim to being among the series’ top ten. ‘The Web of Fear’ is a recently-reclaimed lost classic that certainly deserves its reputation as one of the most frightening classic Doctor Who stories. ‘Inferno’ is an imaginative parallel universe narrative that includes some aspects of political allegory as the Doctor is transported sideways to an alternate Britain under a fascist government – and further proof that the early Barry Letts/Jon Pertwee era was not all about invaders of the week. And ‘Terror of the Zygons’ and ‘The Seeds of Doom’ are both strong stories from Doctor Who’s Gothic period in the mid-1970s. Camfield brought to all his Doctor Who episodes a high degree of technical excellence as well as narrative pace and a strong visual sense. Even ‘The Daleks’ Master Plan’ moves along at a pretty good pace even over its excessive length of twelve episodes. To this extent Camfield’s style anticipated the more ‘filmic’ Doctor Who directors of the 1980s such as Graeme Harper and Peter Grimwade. I’ve commented before in my Doctor Who blogs about the sense in which television is more a writer’s medium than a director’s medium. We tend to see the important auteurs of Doctor Who as being writers: Terry Nation, Robert Holmes, Terrance Dicks et al. In this very blog I’ve highlighted the differences between the seriousness of John Lucarotti’s and David Whitaker’s historical stories, on the one hand, and the more parodic approach of Dennis Spooner and Donald Cotton on the other. While I believe very much that television is a writer’s medium, though, we should not ignore the role of the director. And I’d suggest that Camfield was among the top two or three regular Doctor Who directors for the quality and style of his work. 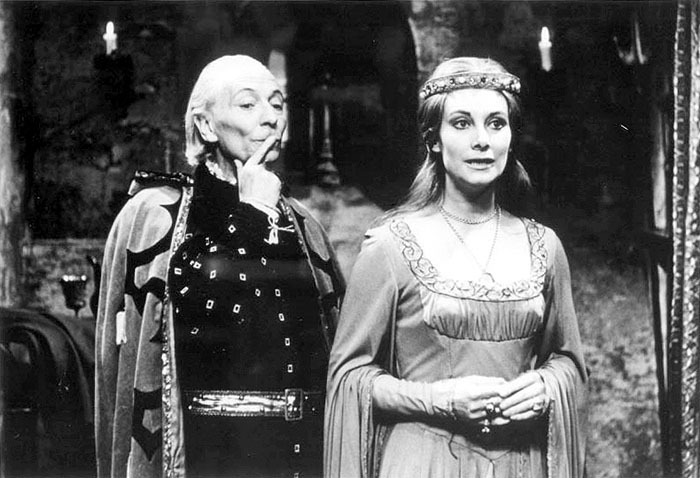 This entry was posted on December 3, 2014 by Who Watching in Classic Doctor Who and tagged Doctor Who, Jacqueline Hill, Maureen O'Brien, The Crusade, William Hartnell, William Russell.